Mindfulness is a bit of a buzz word these days. So many people are rushing through life that they actually have to be reminded that it’s important to slow down and pay attention to what they are doing. How do I know? Because I am one of those people. Sometimes by the end of the day I know I have done a lot of jobs, but I don’t really feel satisfied. Everything I have done blurs into one and I didn’t really get much enjoyment from any of it. I can eat a whole meal without really paying attention to the flavour of the food or the way it feels to chew and swallow. I can wash a whole sink of dishes without even taking notice of the water on my skin or the scent of the soap. I am doing but not living. I am not enjoying my life, I am just existing through it. Job after job, hour after hour. The experience is, in a word, unsatisfactory. Not because it has to be, but because I have simply forgotten to really pay attention to the details that make life burst with colour and emotion. It’s like living with your mouth closed, nose plugged up, ears covered, and eyes constantly on the clock. Mindfulness can change all that, as it helps a person tune into their senses and get the most out of the everyday rituals – and in fact every moment – of life. It doesn’t take any extra time to be mindful, it simply takes a bit of effort. There is no doubt that being present for life as it happens is great for our own mental health as well as our relationships with others. To me, mindfulness is paying attention to the here and now, and not getting distracted thinking about what has already happened or worrying about the future. As a mother with three young kids, however, this is so much easier said than done. By the end of the day sometimes I have an endless “to do” list running through my head… plus ideas from the five parenting articles I read and the advice of two friends. I can also get stuck in the trap of zoning out because my mind is just too exhausted to take any more in. Neither of these are real solutions for the stress I feel, and both disconnect me from my kids (and anyone else around me). Mindfulness allows me to stop the deep thinking and hone into the moment right in front of me. After learning more about mindfulness and its benefits, I have been challenging myself to practice mindfulness more intentionally several times during the day. One of these times is baby’s bath time. What? Is there really more to bath time than just cleaning your baby? Well, yes, there is a whole lot more! 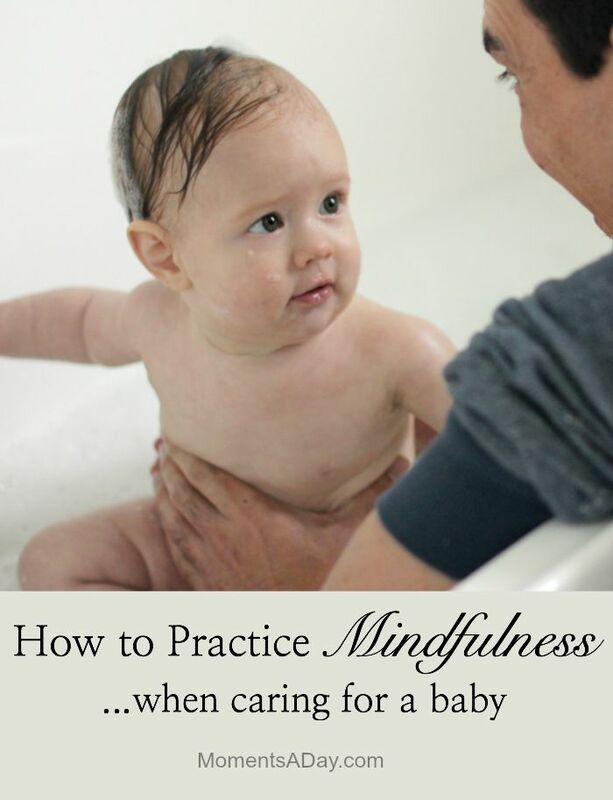 Bath time is a great time to connect with your baby and it’s the perfect opportunity to practice mindfulness because it is a multi-sensory experience for the caregiver as well as the bub. Taste, touch, listen, smell, see – bath time is a great time to pay attention to all five senses. Being mindful during bath time simply requires you to tune into your senses. It is a lovely time to learn from your own baby as they naturally do this… they splash, roll over, pop bubbles and enjoy the water without a care in the world! A bit of extra effort to be present during bath time not only benefits parents though. Research shows that routine touch and massage by a parent or loving caregiver is critical to a baby’s growth and development, and greatly aids their communication and learning. Baby’s first emotional bonds are built from physical contact, or touch. 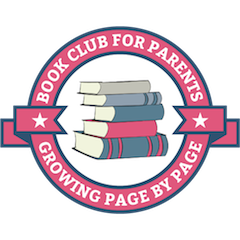 This contact serves as the foundation for emotional and intellectual development later in life. According to a study published in the Journal of Applied Developmental Psychology, infants who experienced routine touch and massage (compared to those who did not) were 50% more likely to make eye contact and 3 times more likely to have an overall positive expression (like smiling, eye contact). By age three, 85% of a baby’s brain is developed; every experience leading up to this time helps to shape a baby’s brain. The brain’s processes for learning are enhanced when multiple senses are stimulated, as compared with the use of just one sense. Therefore, connecting through daily rituals, like bath time, provides parents a rich opportunity to nurture their baby’s ability to enjoy as well as learn about the world and the people around them. If these are new ideas to you, and you had not considered bath time very important before, rest assured you are not alone. JOHNSON’S® Global Baby Bath Report, an online survey of more than 3,500 parents of young children around the world, found less than half of parents (42%) say bath time is extremely important to their child’s brain development. Here in Australia, even fewer parents (32%) seem to recognise the importance of the bath time ritual. JOHNSON’S® SO MUCH MORE™ movement encourages parents to step back and take a few more minutes of their day to offer their baby opportunities for skin-to-skin touch, bonding time and sensory stimulation. In other words, just forget about cooking dinner, sorting the laundry, or paying that bill for ten concentrated minutes of bath time or massage, during which you give 100% of your attention to what you are doing. I am finding it is very relaxing and the practice of being mindful really helps me clear my mind and centre myself to be ready for the next thing life throws at me. Just look to your baby for inspiration. Babies are, in fact, great teachers of mindfulness because they always live in the moment! The joy my baby receives from having a bath – sucking a wash cloth, splashing, listening to a parent sing silly bath songs – is contagious. Being mindful during daily rituals such as bath time can help parents nurture their baby as well as their own selves. It’s a win-win for sure! And building up the practice of mindfulness spills over into other parts of the day. Over time, you may not even have to remind yourself to be mindful. I’m working towards that! Do you practice mindfulness each day? Would you like to give it a try during bath time? I loved it and I love being present with my little baby and my 2 years old son. I did a mindful birthing program during my last pregnancy and I deepened my mindfulness practice. Everyday is an opportunity to remember, to create the intention to be present, and embrace life at every diaper change, every bath and all others activities that I do every day. Wow I love the sound of a mindful birthing program 🙂 Thank you so much for sharing Angela! Spending quality time with a baby will definitely bring some cheerful moment in our life; therefore most of the parents when getting some vacant time they used to spend their quality time with their babies. I this article also we have found some good mindfulness program that helps to boost our mental condition and satisfaction. I hope especially working parents should understand the importance of spending time with their babies.